When my elder son and I finished writing our Plain English compiler, we decided to test its usefulness by adding a what-you-see-is-what-you-get document editor that we could then use to document our system. Two birds with one stone! We call this Document View: one line per page. Whole pages (and groups of pages, contiguous or not) can be selected, copied, cut, pasted, duplicated and printed in this view. They can also be saved in Adobe PDF format so folks without the Writer can read them. In this view, whole pages can be enlarged, reduced, rotated, and spell-checked. And various text and graphic “shapes” can be added, deleted, moved, sized, colored, flipped, mirrored, rotated, copied, cut, pasted, duplicated, grouped, etc. The Home, End, Page Up, and Page Down keys can be used to conveniently flip through the pages, without returning to Document View. 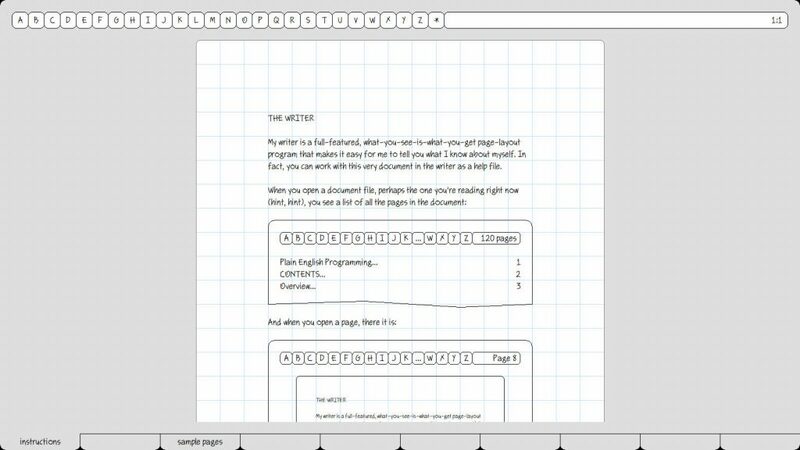 One entry for the whole document, one for each page, and one for each shape on the page. And not a single “<” in sight! If the page is nil, exit. Put “group” into the group shape’s kind. 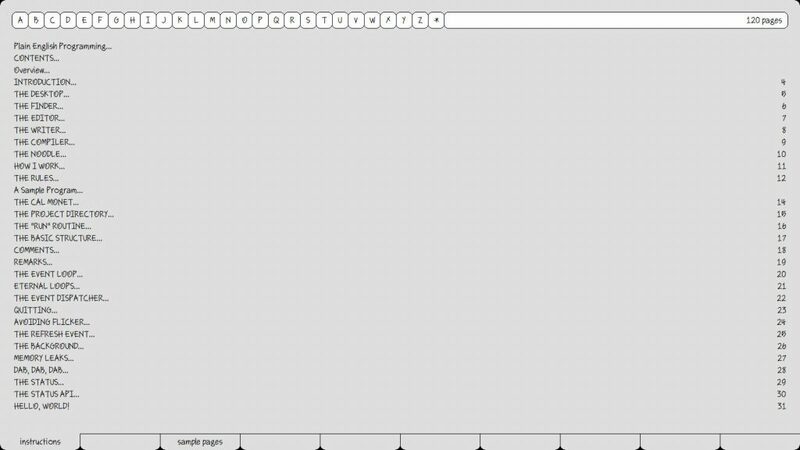 Put the page’s scale into the group shape’s scale. 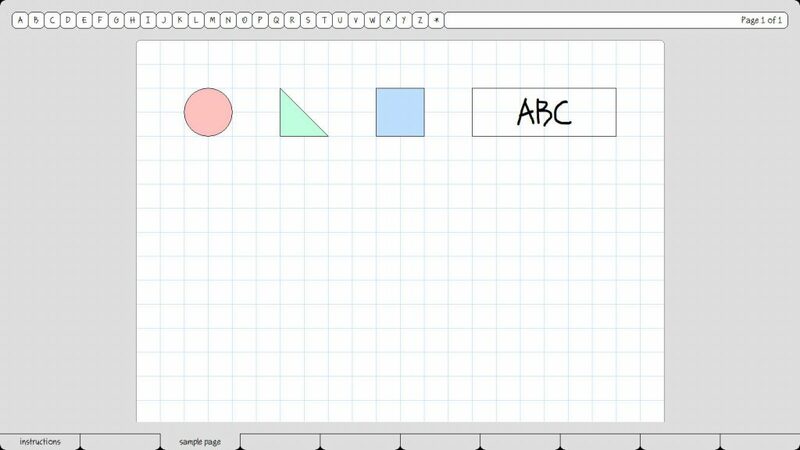 Move the page’s shapes to some original shapes. Put the original shapes’ first into a shape. If the shape is nil, break. Remove the shape from the original shapes. If the shape is not selected, append the shape to the page’s shapes; repeat. Append the shape to the group shape’s shapes. Append the group shape to the page’s shapes. 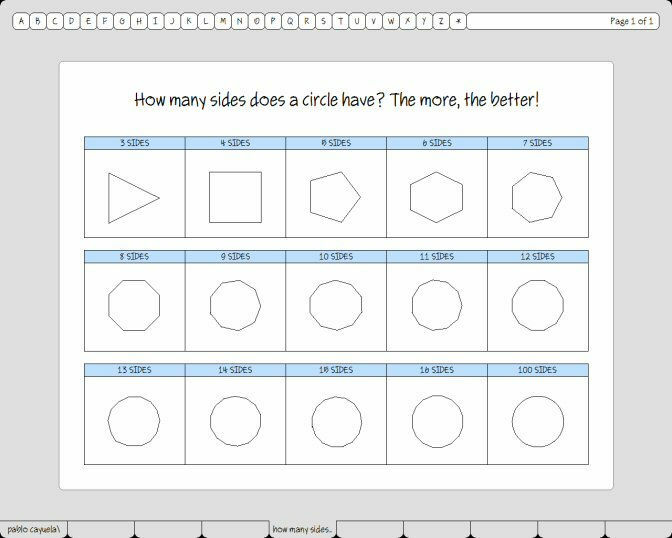 Shapes on pages are drawn back-to-front, so the newly grouped shapes will appear on top of the other shapes on the page.